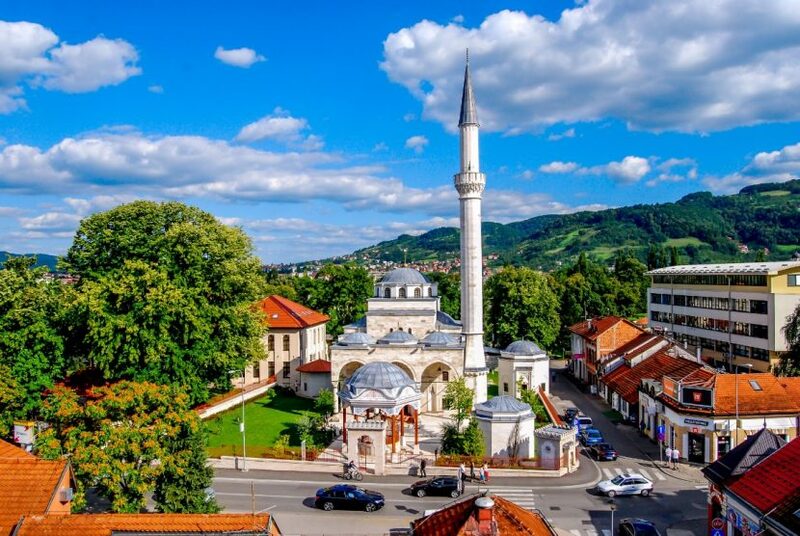 If we were to describe Banjaluka in one sentence, it would probably be “the city of amazing natural heritage, cultural monuments, green boulevards, some of the of the best festivals in the region and a place whose citizens would probably win a most hospitable award, if there was one“. 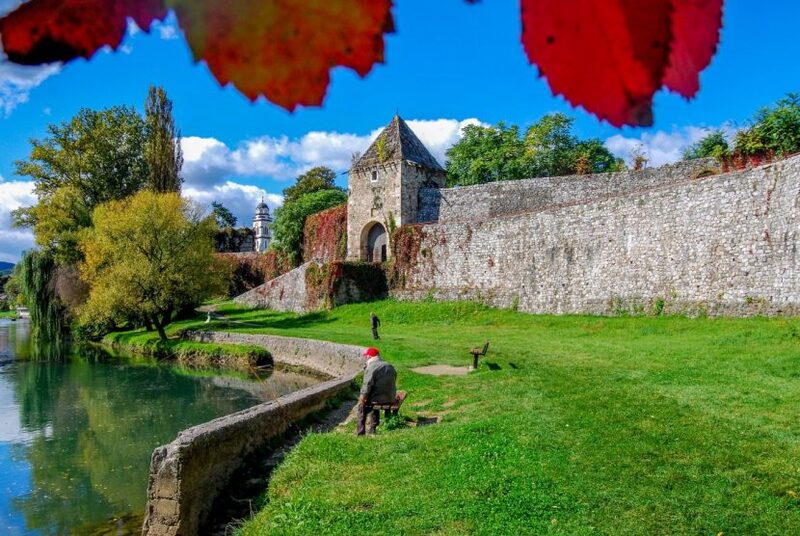 From adventures on the water to monuments of historical importance, we will take you on a journey through Banja Luka that you will never forget. We will even share with you a story of a special boat, that exists nowhere in the world, but here! So, what do you say? Ready to explore the streets of Banja Luka? Standing proudly in the center of the city, you will find The Temple of Christ the Saviour, the biggest and probably the most beautiful temple in the city. This magnificent piece of art was built at the beginning of the WWII, but just two years later, on April 12th, 1941 it was destroyed. After the end of the Second World War, a monument to fallen soldiers in the National Liberation War against fascism was built in this location and it was until 1993 when the reconstruction of a new temple has started, and the monument to fallen soldiers was relocated to the area in front of the Bosna Hotel. The new temple was built from the most precious red and yellow stone from the Middle East called travertine, which is formed in volcanic eruptions. All pillars were made of granite and high-quality golden domes were made using Russian technology. 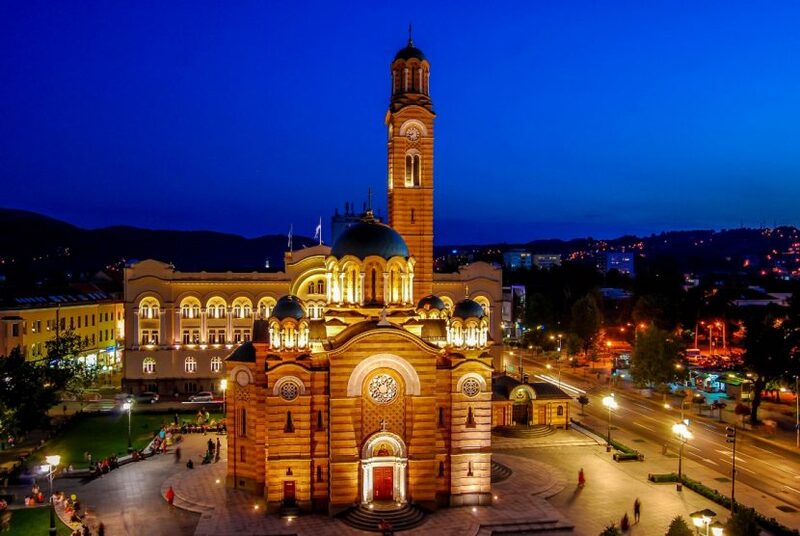 The temple was officially opened in 2004 and since then it is one the most recognizable symbols of Banja Luka. Is there something that relaxes your mind and soul like nature does? Located some 20-km from the center of Banja Luka, Krupa na Vrbasu is a true paradise for nature lovers. This green oasis is one of the favorite picnic destinations of the locals and place where all your problems are destined to go away. 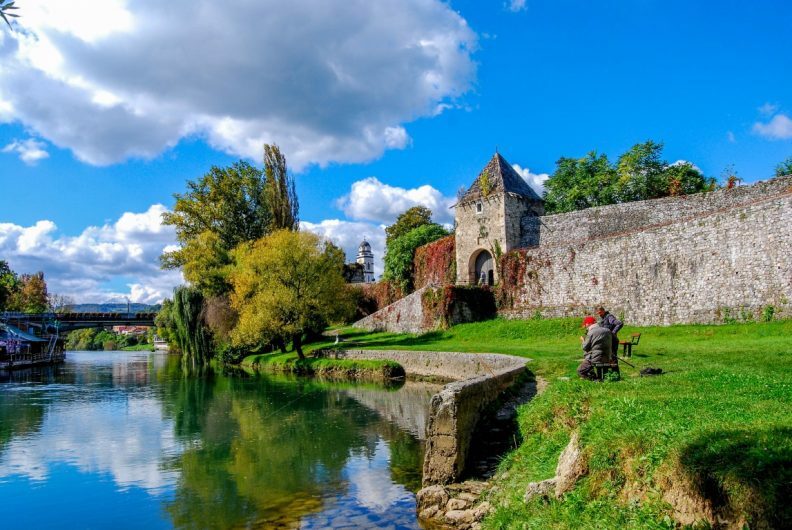 Surrounded by endless greenery, here you will encounter waterfalls, watermills and one very interesting religious site. Sitting on a top of a hill, you will find a 13th-century monastery, known as the Church of Saint Ilija. Visit the place in spring when all trees start to blossom. It is truly amazing. 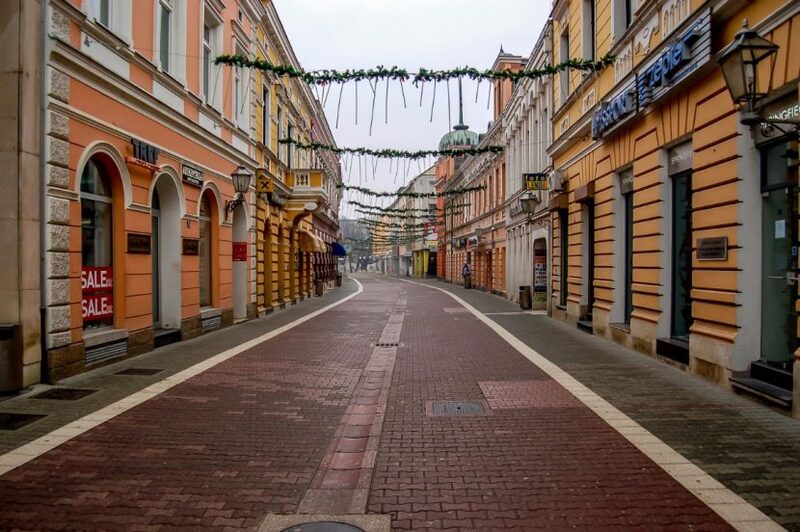 The most famous street in Banja Luka is definitely the Gospodska street. 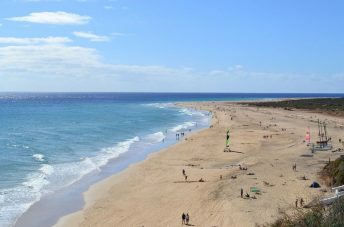 It is the most popular walking route and a place with numerous clothing stores, jewelry and other shops. Based on the story from in 1878, a Banja Luka’s trader Tomo Radlovic wrote a sign on his shop Albania which said Gospodska street (gentleman’s street). The sign was mostly put because of the reason that many people were just coming to the shop and were not buying anything. Even though the official name of the street today is Veselina Maslese, almost every local still refers to it as Gospodska. And at the end of it, you will see a monument, that tells a story of a tragic event that happened here. It is called the Memorial clock and it is probably the main meeting point in the city. There is no person born in Banja Luka that has not met with someone here at some point. But, what you will notice is that this clock is not ticking like all the other clocks. On 27th of October 1969 in 09 hours and 11 minutes, Banja Luka was hit by a terrible earthquake of over 6 degrees Richter scale. Unfortunately, on this day, 15 citizens died and 1,117 of them were injured. Not to mention all the material damage the city has suffered. For this reason, the clock stands here as a memory of that period. Built by Banjaluka’s most important figure, Svetislav Tisa Milosavljevic, Banski Dvor is the cultural hotspot of the city. Place where young and old reunite to enjoy the city’s best exhibitions and concerts of classical music. The history of the place dates back to 1930 when some of the best architects in the region were asked to make a proposal to build this object. A year later, the construction of the place started and it was finished in 1932. Until today, it is one of the most beautiful buildings in the city. 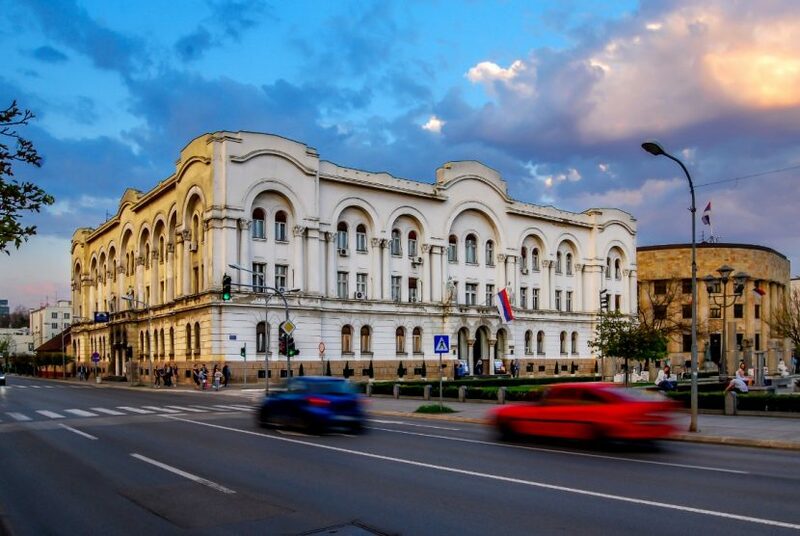 If you are a culture lover, we also recommend a visit to the Museum of Republic of Srpska and Museum of Contemporary Arts which hosts a rich collection of modern art paintings. If the answer is yes, that head straight to the Kastel Fortress, place that survived many wars, floods, earthquakes. The castle is located in the area of 48000 square meters, and there you will see nine bastions and two drops of the towers. If you are here during the summer, you will enjoy great festivals such as Demofest, and if you happen to be here during the winter, you will experience something a bit unusual. Every year, with the arrival of the first snow, a man named Jefto, comes here, showers himself with the snow and swims in the freezing cold river. The reason behind this is something that happened in his childhood. When he was a baby, he almost froze in the cold and barely survived. So with each first snow, he comes to me to swim as a symbol of gratitude. 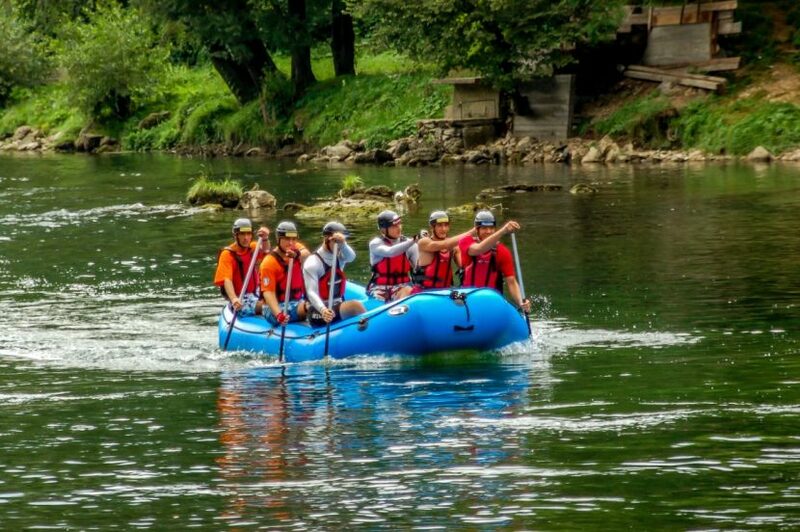 To see the true charm and beauty of Banja Luka, try rafting on the Vrbas, the city’s main river. 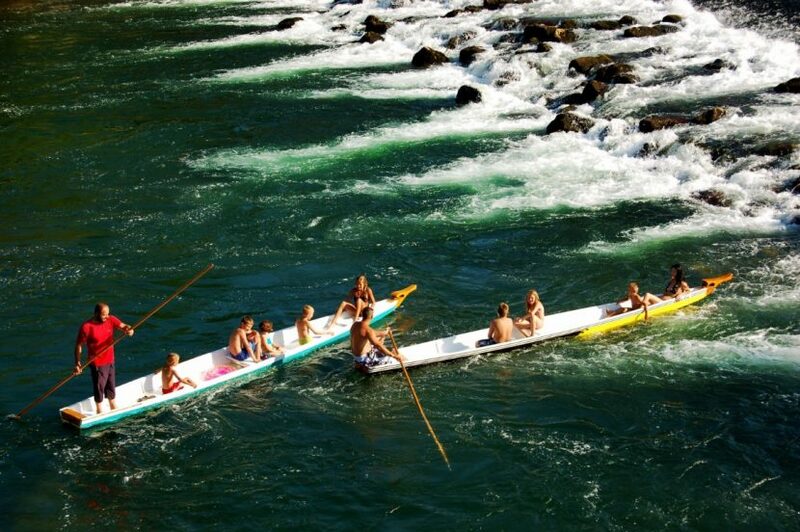 You might not know it, but this is one of Europe’s best rivers for rafting, and many of the important Championships, like World Cup and European Cup, were held here. Just leave your busy urban everyday life behind, call a group of friends and get your daily dose of adrenaline and good energy. Oh. Just one tip before you go. Hold on tight when you arrive at Tjesno. The rapids there are not easy to handle. From the day it was founded until today, many religions and cultures passed through Banja Luka. Slowly over the years, the city was becoming a place filled with interesting history, culture, as well as some of the most interesting legends you will find in the region. None of them is more famous, that the one about Safikada. The legend tells the story of a young and beautiful girl, who falls in love, at the first sight, with a handsome Turskih soldier Omer, who guarded the walls of Kastel. However, soon Omer finds out that he is being sent to the war and he needs to leave her. On their parting, they made an oath to the eternal love and faithfulness to the death. But, destiny wanted things differently and a few months later she finds out that her beloved has died in a battle. Her dead body fell on the place where you can see the monument today. Even now the couples light their candles to celebrate their love. Banja Luka is a very multicultural city. In a very close area, you will find an Orthodox church, a Catholic cathedral and a mosque. In fact, there are few mosques in the city, none more astonishing than Ferhadija. A legend says that Ferhad-Pasha Sokolovic had a desire to build the most amazing mosque, something so big and beautiful, like nothing before or after in this part of the world would ever be. So when three workers constructed it, the rumors spread that Ferhad-Pasha wants to kill them so they would never build something as stunning again. As soon as they heard the news, they made themselves wings and flew away. All of them fell on 3 different sides of Banja Luka and as a result of this, the neighborhoods in the city got their names. Petar fell on Petricevac, Paul in today’s Pavlovac and the third builder, fell on the right bank of the river Vrbas, broke one rib and that part of the town became Rebrovac (rebro is Serbian for rib). 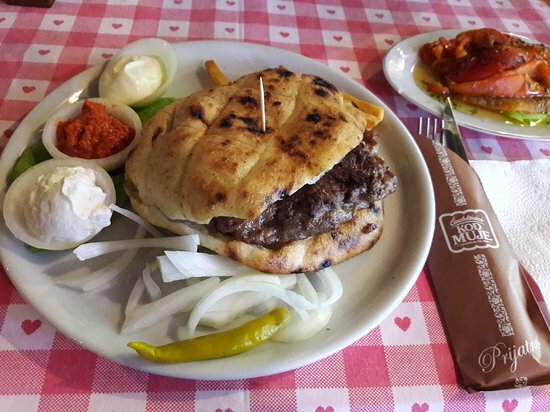 Did you know that people all around the Balkans are just crazy about this meat dish and that maybe the best ćevapi can be finned right here? The origin of the dish is oriental, probably Persian but the Ottomans were the ones who together with their army spread it around the Middle East, Balkans and Mediterranean. It’s a grilled dish of minced meat, a type of skinless sausage and it’s usually served with 2 to 4 pieces on a plate or in a flatbread (lepinja), often with chopped onions, sour cream and kajmak. Leave knife and work on the side. Ćevapi are traditionaly eaten only with hands. At the beginning of the text, we have mentioned you that there is a special kind of boat you will find here. Being one of the Banja Luka’s most recognizable symbols, Dajak is must do thing in the city. Just image enjoying the splashes of cold Vrbas on a warm sunny day in August while sitting in the boat and enjoying some of the best views of the city. It may not be gondola in Venice, but dajak is definitely worth a try. But, because you have been reading this text for a long time, we have one additional place that we think you should go on see. To be honest, it is kind of our personal favorite spot in the city, so in case you have extra time, we invite you to visit it. Just take a look at this paradise. Nature in and around Banja Luka is truly breathtaking but it is at Banj brdo where you will witness the true oasis of peace and tranquillity. Lying on 431 meters above the sea level, it is safe to say that this is the favorite recreation spot of the locals. Throughout the entire place, you will encounter walking paths, outdoor gyms and plenty of spots where you can just rest and chill out. And when you arrive at the top, there is a treat. 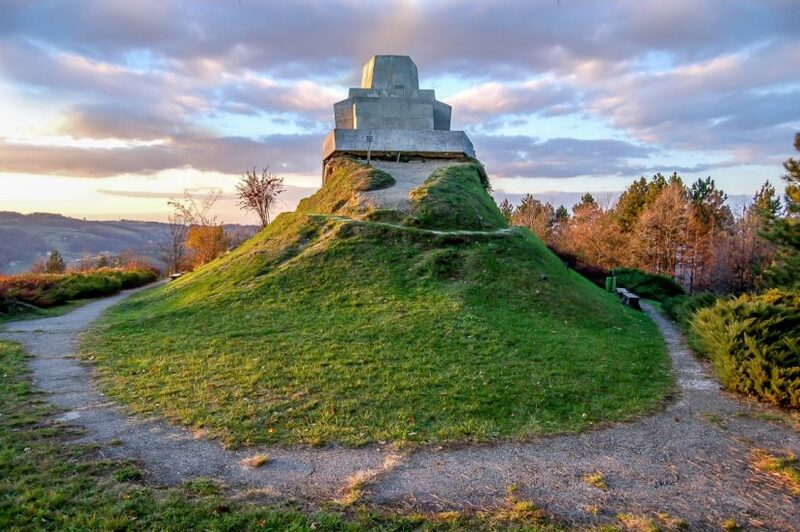 A monument dedicated to fallen soldiers from Krajina that died during the World War II. 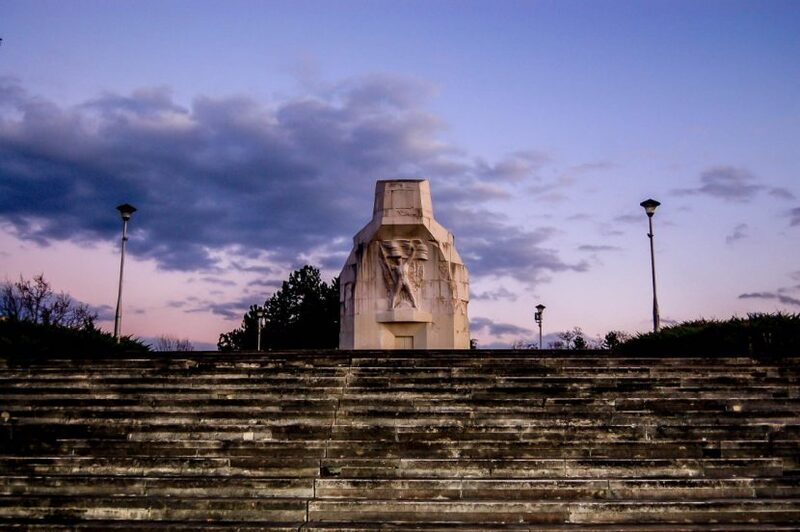 The entire object was made by Antun Augustincic, one of the greatest Yugoslav sculptor, and it 13 meters high and it is surely one of the city’s most unique symbols. It was made from white stone from Brač, with the unique form, and looks like a bullet heading in the direction of Krajina. On the frontage of the monument, above the entrance doors, there is a huge figure of a naked young man who holds a flag in his hand. The coolest thing about this place? Probably the best view of the city. But to see that, you will have to come here by yourself. 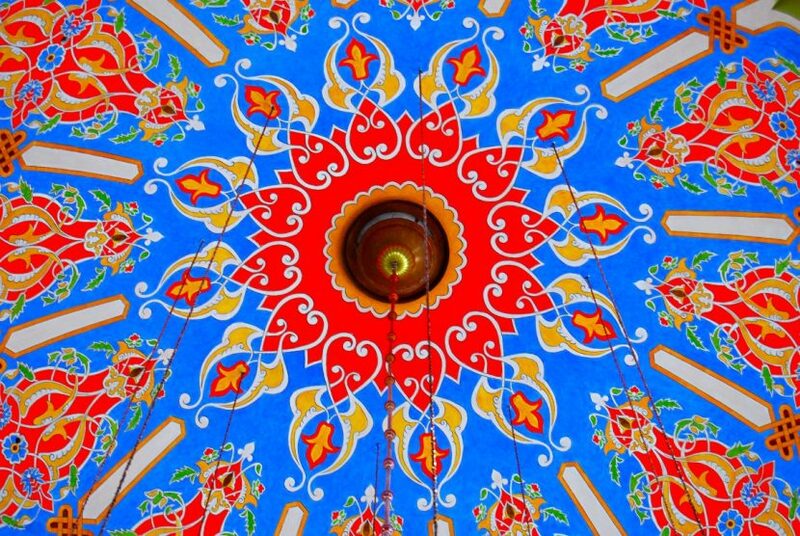 And these were the top 10 things you can do in Banja Luka. Places that are a must do when you visit this Balkan beauty. Just go out there and let the spirit of the city take you over. Talk to the locals. Try ćevapi. See some exhibition. And don’t forget to go out. They say that the nightlife here it is one of the best in the region. For more stories like this, check out TOP 10 things to see in Budapest. P.S. 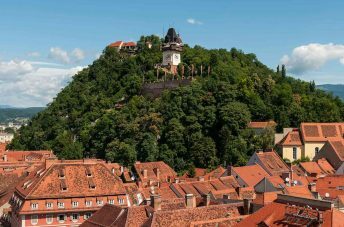 Thanks to Banja Luka tourism, Turizam RS, Croatiaweek and Banja Luka travel for providing the information for writing the article.